If you're not on (much) of a budget, these large-scale 10" tablets offer better visuals and increased performance over their more portable 7-inch counterparts. Here are our favorite 10"-class tablets. 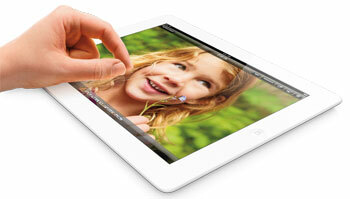 Why we like it: It's hard not to like the iPad, which has set the industry standard for tablets. Apple's tablets continue to have access to the largest app store in the business and, in additional to a powerful processor and the largest storage options you'll find, the iPad's Retina display offers better than HD video on the go. This is a very solid tablet that has something for any user. Why you might not like it: If you're on a budget, you can find less costly options than Apple's flagship tablet (like the iPad mini or iPad 2, if you still want to buy Apple). And if you're looking for a tablet that's smaller or larger, Apple only offers this and the mini: for alternatives you'll want to check out Android tablets. 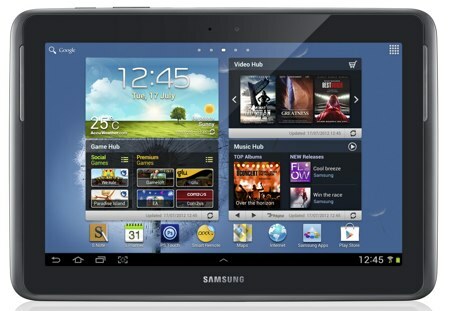 Why we like it: At 8.9", this tablet is a happy medium between the smaller 7" tablets and the super-sized 10" tablets. If you're already tied into Amazon's ecosystem of books, music, and movies, the Fire HD 8.9 is a natural fit that will easily sync your Amazon content. And if you're looking for a tablet with cellular access, you won't find a better deal: instead of a monthly data fee, Amazon charges you yearly, starting at $49.99. If you need data on the go, this is a steal as long as you don't use a great deal of it. Why you might not like it: As with the Fire, if you want to do things outside of Amazon, this tablet isn't your best option. 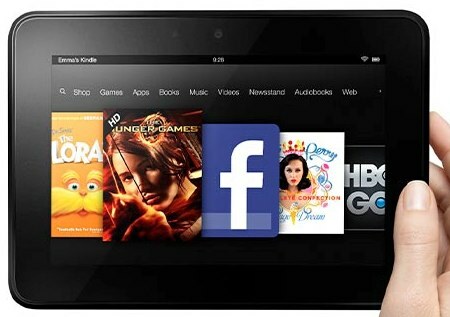 But if you like the tablet but want to save some money, look at the Kindle Fire HD 7.0, which is smaller in size and price. Why we like it: For those fond of pen and paper, the S-Pen included with the Galaxy Note 10.1 allows for easy drawing and note-taking—and while that might sound simple, it's an experience no other tablet matches, making the Galaxy Note a must for artistic tablet owners. Why you might not like it: If you aren't a fan of a pen interface, then this is just a pricey Android tablet with a screen that looks shoddy compared to the competition. 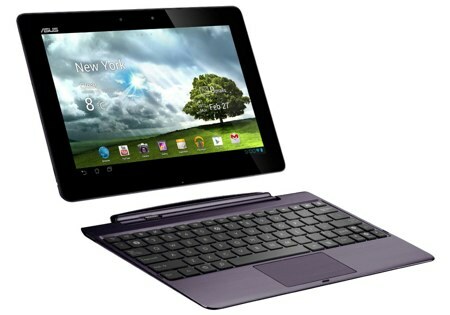 Why we like it: Paired with its keyboard dock, it's hard to tell that this powerful Android tablet isn't a sleek laptop. But when you just need a tablet? Undock it and just carry the tablet screen with you. Additionally, the Transformer Pad Infinity's tablet's battery life, when paired with its keyboard dock, is unbeatable. Pair that with a decent price—slightly lower than a similar model iPad when you include the keyboard—and this is a great all-around tablet for the Android user. Why you might not like it: If you don't want to spend this much, there are better budget options. $49 ??? Is this correct? Why you might not like it: If you’re on a budget, you can find less costly options than Apple’s flagship tablet (like the iPad mini or iPad 2, if you still want to buy Apple). And if you’re looking for a tablet that’s smaller or larger, Apple only offers this and the mini: for alternatives you’ll want to check out Android tablets. They are $499 at apple. Not $49. $399 includes the docking atation plus if you have a speedway card and go thru speedway mall you get 30 points for every dollar spent. With free shipping. After reading Mike’s comment my head is about to explode. I bet he is under 19. Actually, if he used fewer words I could understand I would guess 15. A good age. Got my first kiss from Charlotte at 15. She didn’t have WiFi either. When you hit 75 these things take on a whole new meaning. If I understand the Infinity, I can only get on the Internet if I have WiFi like they have at McD’s. The old folk gather there for coffee and computing. Does this mean when I am home - about 3 miles from McD’s, the Infinity will not let me on the Internet? If not, I suppose I have to buy something else. Another attachment? What else? Boy, in the 30’s they would call this racketeering. Keep up the great work Mike. Once in a while toss in some English. It helps make the coffee go down. Can 15 year old’s take a joke?